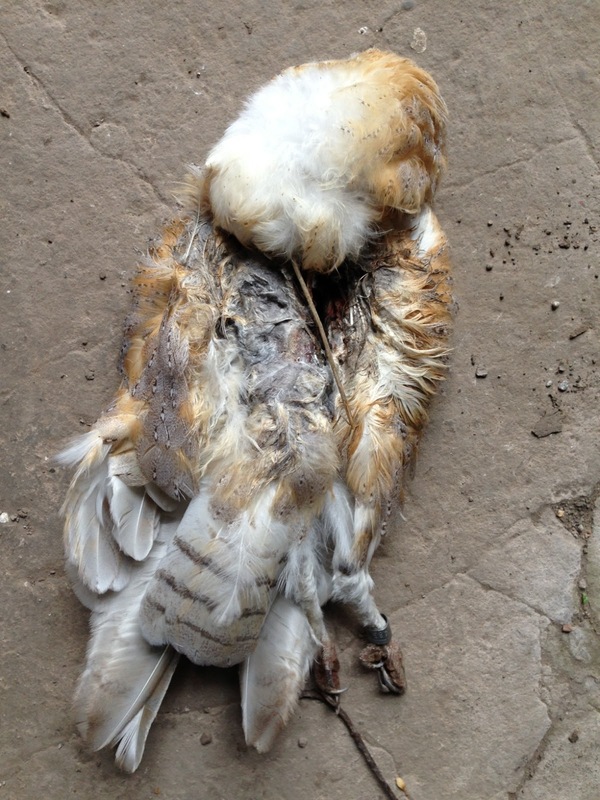 Reports from the British Trust for Ornithology have demonstrated that 2013 may be a difficult year for Barn Owls. 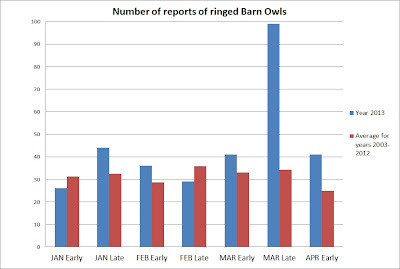 Recent winters have seen some severe cold weather which has made life very difficult for the nation's Barn Owls and the BTO has seen reporting rates of dead ringed birds rise. This usually happens earlier in the year but this year the reporting rate for late March has shown an exceptional increase, just when these birds are supposed to be starting to breed! At such times of year it is common to receive reports of birds that have been hit by vehicles on the roads but this year a high proportion have been found emaciated close to farms and residences. This is a sure sign that things are not well in the countryside and that food resources are low. The graph below (from the BTO) shows how extraordinary late March 2013 has been. The figure is sure to rise for early April this year but hopefully it wont compare to late March. Deep snow, wind and flooding has hindered the ability for Barn Owls to find food. These results reflect our own experiences in Mid-Cheshire. This emaciated Barn Owl was discovered in a barn on a farm on the outskirts of Northwich in late March. Initial checks of regular breeding sites have not resulted in any breeding birds being found and the next month will determine whether or not 2013 proves to be a successful breeding season or not.